The rapid growth of the giant online accommodation-sharing platform, aka Airbnb, is creating serious concerns about equity and the impacts on our cities and neighbourhoods as we know them. Our recent research shows that the patterns of Airbnb listings in Australia’s biggest cities are highly uneven. The findings suggest impacts on rental housing are likely to be biggest in high-end areas that appeal to tourists. Low-income areas are less affected. What are the impacts on rental markets? Where are Airbnb listings located? The maps below show the distribution of Airbnb offerings in the Sydney and Melbourne metropolitan regions. These also show the composition of listings: entire (house/apartment, shown in red) versus partial (room only or shared room, in blue). 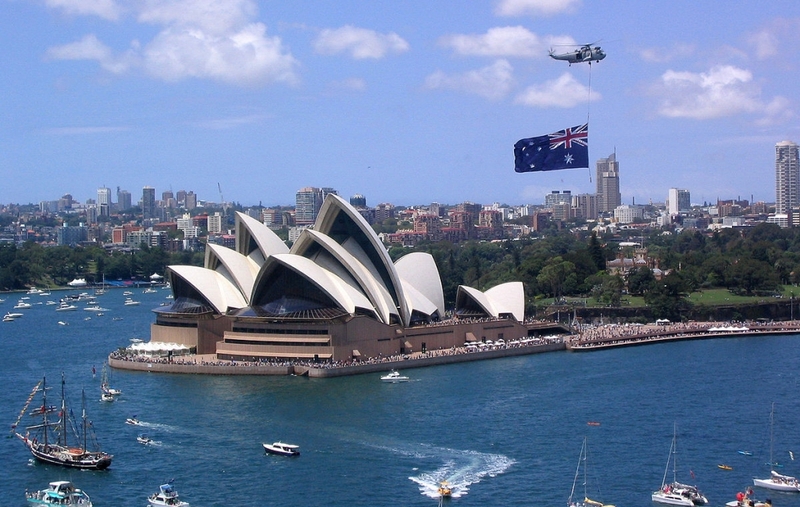 In Sydney (shown above), Airbnb offerings are mostly concentrated in popular tourist areas. Interestingly, partial house/apartment listings spread out more to the middle and fringe suburbs. Entire house/apartment listings are more concentrated around the city centre and eastern beaches. We see a similar pattern in Melbourne (above). Airbnb listings aggregate around the city centre but also extend beyond the inner core to the residential outskirts. However, the composition of listings (entire versus partial) has less effect on their distribution in Melbourne than in Sydney. Interestingly, the cities have very different Airbnb market sizes. The populations of the two regions are almost on a par, but Sydney has almost twice as many Airbnb listings as Melbourne. The difference in entire house/apartment listings is even greater. To understand who is participating on the Airbnb platform as host and who is not, we analysed Airbnb listings data against the Australian Bureau of Statistics Census-based SEIFA, the most widely used nationwide measure of socioeconomic status. SEIFA is a suite of four summary measures created from Census information. For each index, every geographic area is given a SEIFA score. This shows how that area compares with others in Australia. All areas are ordered from lowest to highest SEIFA score. This ranges from the lowest 10% of areas, which are given a score of 1, up to the highest 10%, with a score of 10. Our analysis showed the sheer scale of inequity of Airbnb listings distribution. Over 95% of all entire house/apartment listings and about 87% of partial house/apartment listings (room only or shared room) in Sydney are in the socio-economically best-off areas (SEIFA deciles 9 and 10). Airbnb offerings in Melbourne follow a similar pattern. Over 80% of entire house/apartment listings and about 70% of partial house/apartment listings are found in the best-off areas. Our data analysis establishes that Airbnb hosting mainly occurs in the most affluent pockets of both regions. What are the impacts on the rental market? We also looked at the ratio of the size of the rental market to the size of Airbnb listings with specific attention to the socioeconomic status (using SEIFA) of each local government area in Melbourne and Sydney. This produced a few interesting observations, which help illustrate how local long term rental housing stock is, or could be, lost by conversion to Airbnb short-term listings. In Sydney, there are no low socio-economic areas (SEIFA scores of 1-5) with high numbers of rental dwellings that also have high numbers of entire house/apartment Airbnb listings. This means that, to date, Airbnb is not displacing the rental stock in the most disadvantaged pockets of the Sydney metropolitan region. Nevertheless, in a small number of high socio-economic areas (SEIFA scores of 8-10), the Airbnb market (entire listing only) represents sizeable proportions of the rental market. For the beachside location of Waverley (decile 10), for example, the number of Airbnb entire listings is almost equivalent to a quarter of the number of rental dwellings. Similarly, in Manly and Pittwater (both 10), Airbnb entire home listings are about 20% of the rental market size. In other words, considering the very small size of Airbnb in comparison to the total rental market in Sydney – less than 3.5% – the overall impact can be expected to be minimal. However, the impact is not equally distributed, either geographically or socio-economically. Indeed, the impact of Airbnb on the rental market is of concern in a limited number of areas in Sydney, mainly strategic tourism locations such as beachside areas. Although these are at the highest end of socio-economic spectrum, there is a danger of some local residents being pushed out of the most sought-after areas so tourists can move in. The pattern in Melbourne is slightly different or, in a sense, less intense than in Sydney. Again, the general trend of high Airbnb listings in high socio-economic areas is observed. The Melbourne CBD, which has a SEIFA score of 8, has the most Airbnb entire house/apartment listings. These listings represent the highest proportion, about 8%, when compared to the size of the local rental market. The pressure on the rental market, then, is far less than what we see in popular Airbnb spots in Sydney, such as Waverley, Manly and Pittwater. We also see in Melbourne that popular rental areas in lower SEIFA areas have low numbers of entire house/apartment Airbnb listings. This confirms the Sydney hypothesis that the loss of rental supply is not yet a major concern at the lower end of the rental market. The patterns we observed suggest that the pressure Airbnb puts on the rental market – at least at this point of time – is limited to a small number of high-end areas, mainly locations that are attractive to tourists. This represents a concern in terms of rental supply in these areas, where some local residents in the long-term rental market might be losing out to the short-term tourism market.